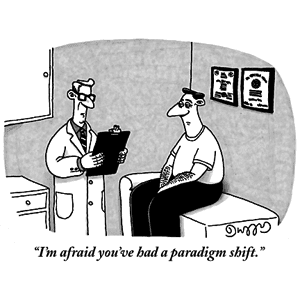 The debate over the truth-testing and comparing worlds paradigms has often been presented as an abstract theoretical question that has little practical application in debates. In this article, I hope to dispel this notion by exploring the effects of truth-testing and comparing worlds on plan/counterplan and topicality debates. Truth-testing and comparing worlds are views about burden distribution. Truth-testing holds that the affirmative must prove the resolution true, and the negative must either prove it false or deny the ability for the affirmative to prove it true. Alternatively, comparing worlds holds that the affirmative must prove that it would be desirable for the agents given by the topic to act on the resolutional principle, and the negative must prove that it would be undesirable for them to act on that principle (or that it would be more desirable to act on a competitive principle). While arguably not an inherent feature of the comparing worlds structure, judges adopting a comparing worlds paradigm usually assume that the affirmative defends a stable advocacy throughout the entire debate against which the negative can defend an alternative; comparing worlds is often compared to a “policy-making” paradigm. It would be desirable for victims to act on the maxim ‘It is morally permissible for victims to use deadly force as a deliberate response to repeated domestic violence.’. Debaters might argue that comparing worlds justifies plans because in a world where everyone acts as if the resolution were true, a change in laws or policy regarding the justifiability of deadly force would follow as a result. This conclusion does not follow. We might imagine a world in which everyone acts on that principle but no law regarding deadly force is passed. So the most a comparing worlds advocate could argue for would be that victims ought to adopt the resolutional principle as a part of their moral code. To fiat the passage of a law as a result of everyone adopting the resolutional principle would be effects-topical. 1. Truth-testing AC vs. Counterplan. On this year’s November-December topic (Resolved: Individuals have a moral obligation to assist people in need), negatives would read counterplans claiming that individuals should donate their money to some charity or group instead. One CP I heard claimed that individuals should donate to NASA’s space exploration program instead of the needy. Affirmatives would reply that these CPs were affirmative ground; the CP merely proved that the poor were not the group in need but did not deny that individuals nonetheless have a moral obligation to assist people in need. This answer is strongly truth-testing in flavor; it assumes that the affirmative must prove the resolution true rather than defend the desirability of doing the AC advocacy. The negative reading the CP assumed a comparing worlds paradigm; he believed the affirmative was defending a stable advocacy, and that the negative burden was to prove the comparative desirability of doing CP over the AC advocacy. Without arguments in favor of truth-testing or comparing worlds, the question of whether CPs affirmed or negated on that topic became irresolvable because the arguments were based on different assumptions. 2. 1AR Interpretational or Advocacy Shifts. On this topic, suppose the affirmative reads a case about domestic abuse and children. The AC contains an argument that says “I will be open to accepting possible negative T interpretations and affirming under that interpretation.” This line of argumentation seems tied to assumptions made by a truth-testing paradigm. Under comparing worlds, that kind of move would be difficult to make given the commonly-held comparing worlds assumption that the affirmative must defend the comparative desirability of doing the advocacy defended in the AC. A negative, under assumptions held by comparing worlds, could argue that the kind of “I will meet interpretations in the 1AR” argument involves an advocacy shift. Truth-testers would not necessarily view the debate this way because truth-testing involves no default assumption that offense must stem from an advocacy. The question of whether interpretations are presented as “defaults” vs. whether they are “advocated for”—a question that seems to arise from assumptions made by truth-testing and comparing worlds paradigms—might be a significant cause of the uncertainty many of us face when trying to resolve messy T debates. To be clear, this second point is merely a related issue to the paradigm debate but not necessarily tied to a bare-bones version of comparing worlds. Most comparing worlds advocates, however, seem to also subscribe to some form of policy-making paradigm, which does rule out advocacy shifts in CX and the 1AR, in tandem with bare-bones comparing worlds. The two above cases are instances in which debaters should argue in favor of one theoretical paradigm or another. A case in which debaters should not initiate this debate is as an offensive reason to vote against a debater running the opposing theoretical paradigm in the AC or NC. Comparing worlds/truth-testing theory should be run only as a reason to access truth-testing/comparing-worlds offense in the debate. Interpretation: The resolution is a statement of truth, not comparing worlds. The affirmative must prove the resolution true. Violation: The affirmative claims that the topic is about comparing worlds. The affirmative cannot violate the first plank of this interpretation because it just frames the distribution of burdens in the debate. It is a claim about “the resolution,” not a rule about what the affirmative may or may not do; put another way, a debater arguing for a comparing worlds paradigm does not violate a truth-testing paradigm. He cannot violate merely by claiming that burdens should be distributed in a certain way. For example, a debater might defend comparing worlds while simultaneously proving the resolution true (any generic utilitarian AC does this). Suppose that the affirmative even uses comparing worlds theory to exclude skepticism arguments from a debate. This still would not constitute a violation because he might win substantive reasons to exclude skepticism in addition to theoretical arguments. The affirmative meets because he might prove the resolution true in addition to running comparing worlds theory to exclude skepticism. The affirmative does not violate unless he literally fails to prove the resolution true—that is, if the negative wins the debate under a truth-testing paradigm. The most a negative debater could get out of running such a theory argument is access to the skepticism/truth-testing arguments. Running the theory as a reason to vote would be un-strategic and redundant because to win theory requires winning the debate under truth-testing in order to prove a violation in the first place. Winning the standards of the theory shell would allow the negative to access his skepticism arguments; winning skepticism would prove the violation on theory, but the violation would no longer be needed because the debate would have already been won via skepticism. If my arguments are valid, then the paradigmatic debate over truth-testing and comparing worlds may be more significant than most of us believe. Judges should adopt a pre-set default on truth-testing and comparing worlds so that they have a transparent explanation for how they resolve debates in which the issue matters but is not mentioned by the debaters, and debaters absolutely must make a greater effort to resolve the issue when relevant so that judges do not have to “intervene” in order to make coherent decisions.